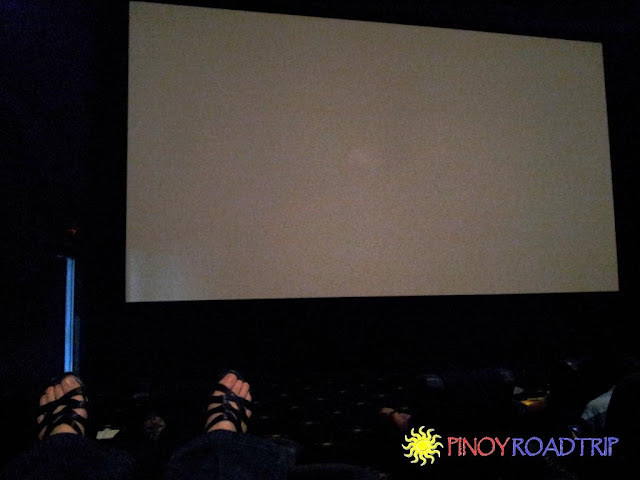 Pinoy Roadtrip: Gateway Platinum Cinema (Cineplex 10): Is It Worth It? 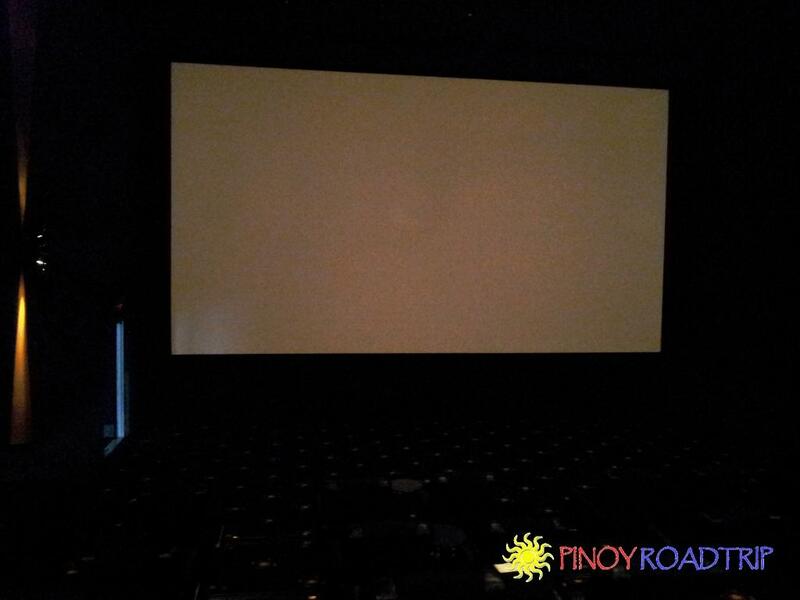 Gateway Platinum Cinema (Cineplex 10): Is It Worth It? 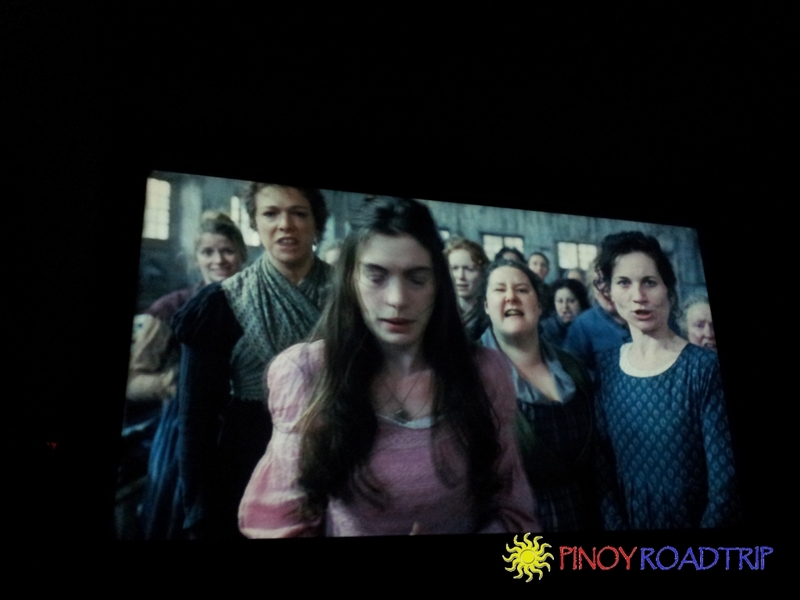 The regular cinema ticket price is P180-P200. 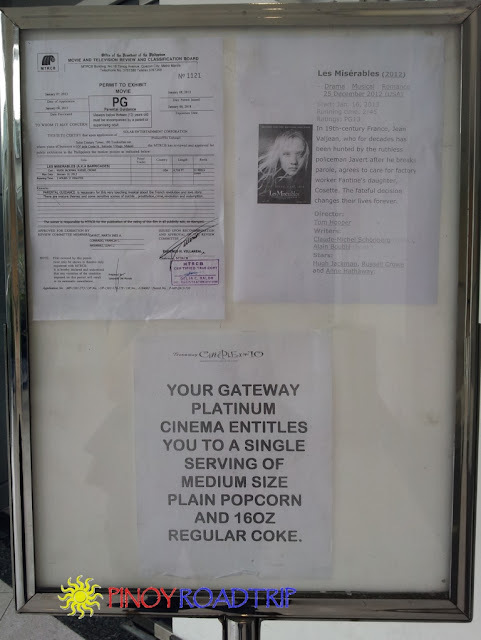 Gateway platinum cinema ticket price is P351, which includes a medium size plain popcorn and a 16 oz. drink. If you arrive early for the show, you can stay at this private lounge and read newspapers. 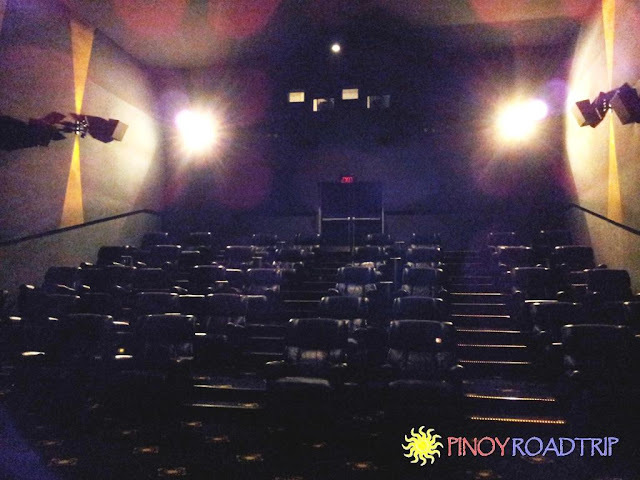 The entrance of the cinema is the door at the left of this photo. 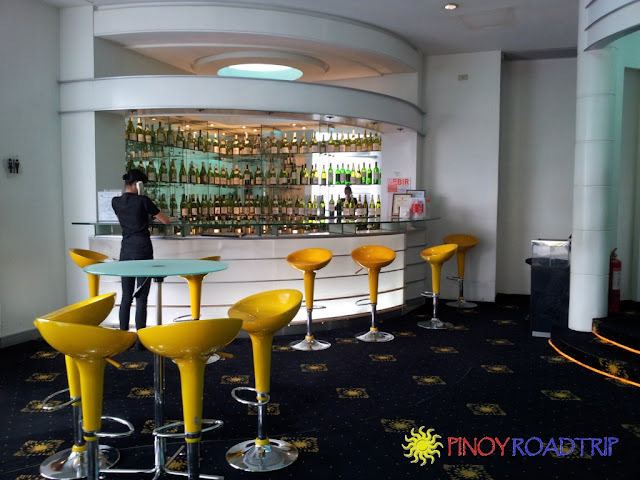 Your choice of drinks are regular Coke, Coke zero, Sprite, Iced tea or bottled mineral water. Your medium size plain popcorn and 16 oz. 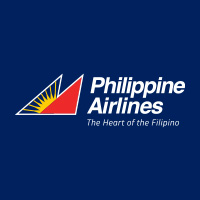 drink is served when you take your seat. 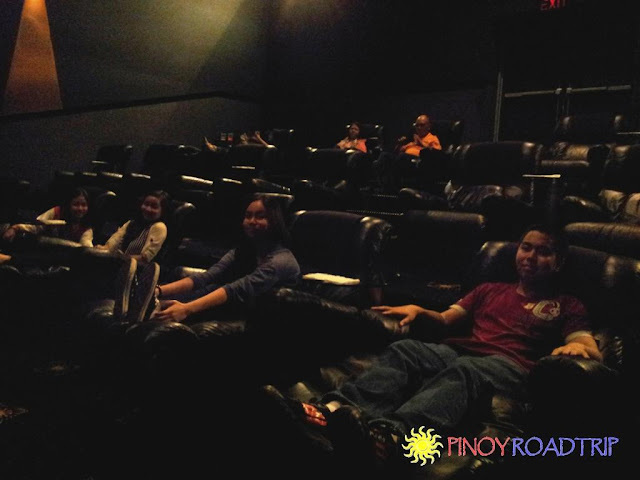 La-Z-Boy leather seats you can fully recline into a flat bed (well, almost). 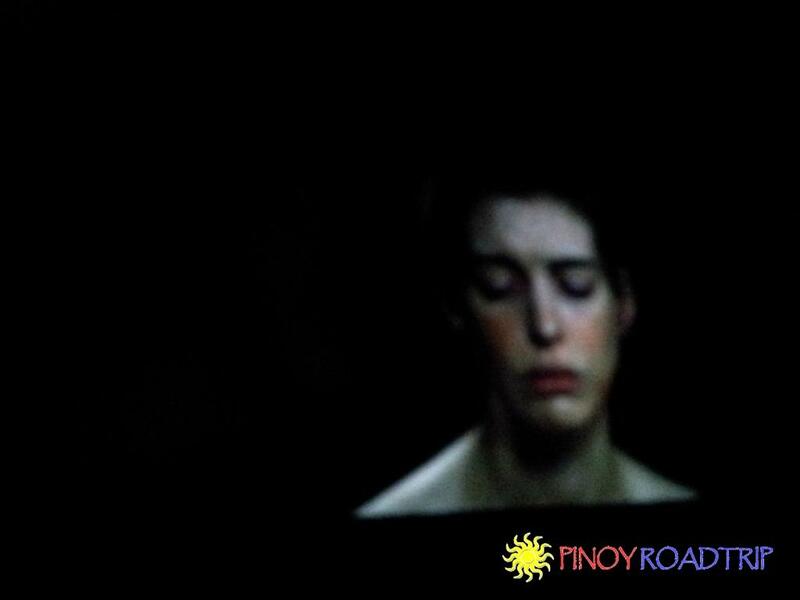 Anne Hathaway playing Fantine singing "I Dreamed a Dream"
A regular cinema ticket cost from 180-200 pesos. 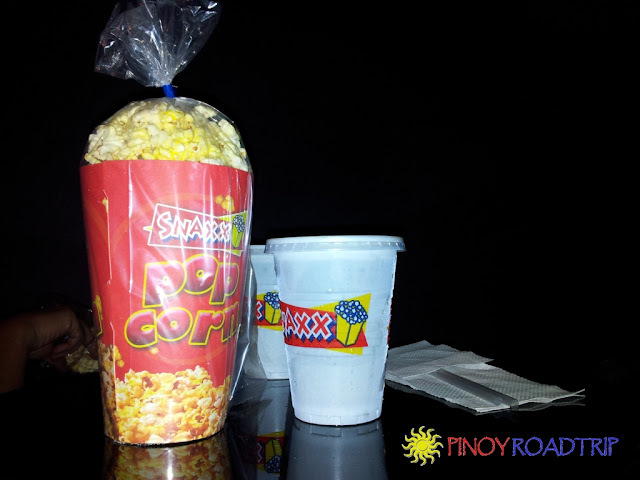 If you add 59 pesos for a medium size plain popcorn and 35 pesos for a 16 oz drink bought at the Snaxx counter (you can only bring in food and drinks bought from the Snaxx counter), your total cost will be around 294 pesos. Compare it with the 351 pesos price of a Gateway Platinum Cinema ticket. The difference is only around 57 pesos. 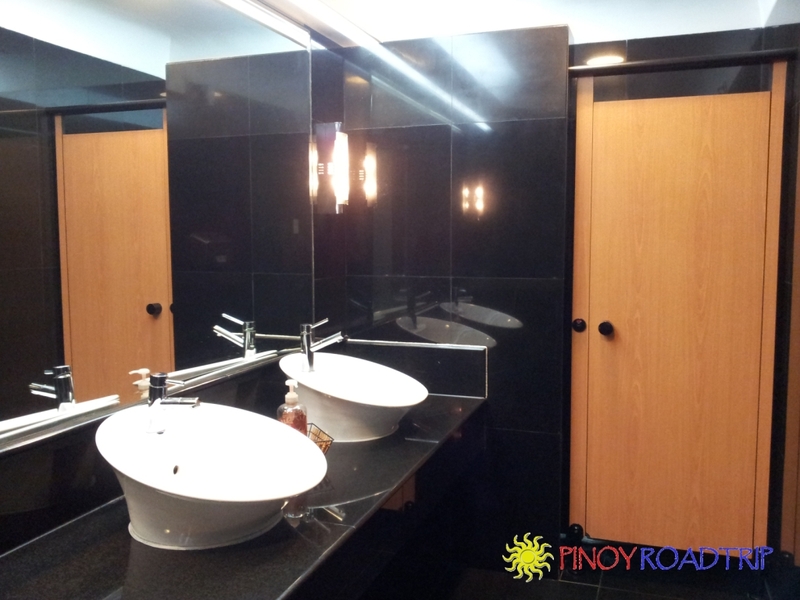 In effect, you pay only an additional 57 pesos for the amenities I mentioned above. 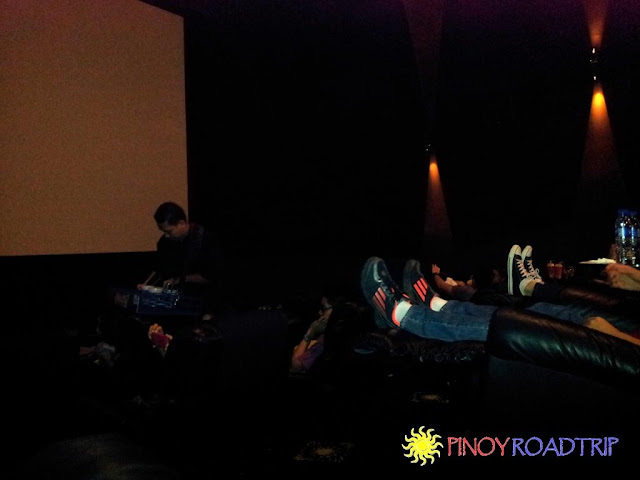 Of course, it will be a different matter if you don't buy popcorn and drinks when you go to the movies. 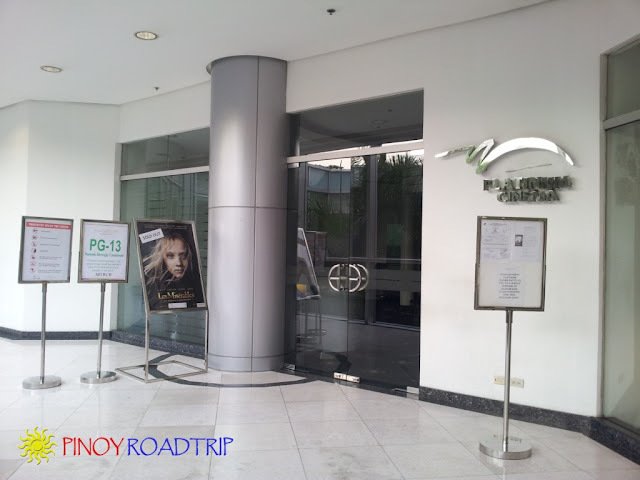 My tip: The nearest entrance to Gateway Platinum Cinema is through General Roxas Ave, side of Krispy Creme or Coffee Bean and Tea Leaf. Use the escalator or elevator to get to the fifth level.